A photo on Friday, because sometimes all you need is a photo! 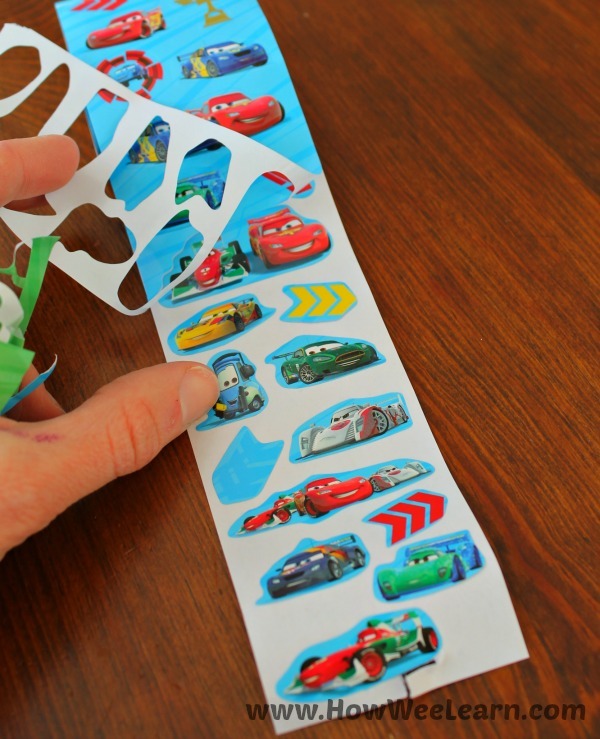 This great trick for stickers allows little fingers to peel them all on their own. Great for developing fine motor skills and independence. Simply peel off the back sticker, and all the little stickers remain. Making them perfect for Quiet Boxes!! And it is actually Saturday, I know and apologize. Where did the week go?! Hope you are having a lovely weekend friends. Please consider liking us on Facebook so we can share more creative learning activities with you and your little ones, Thank you!